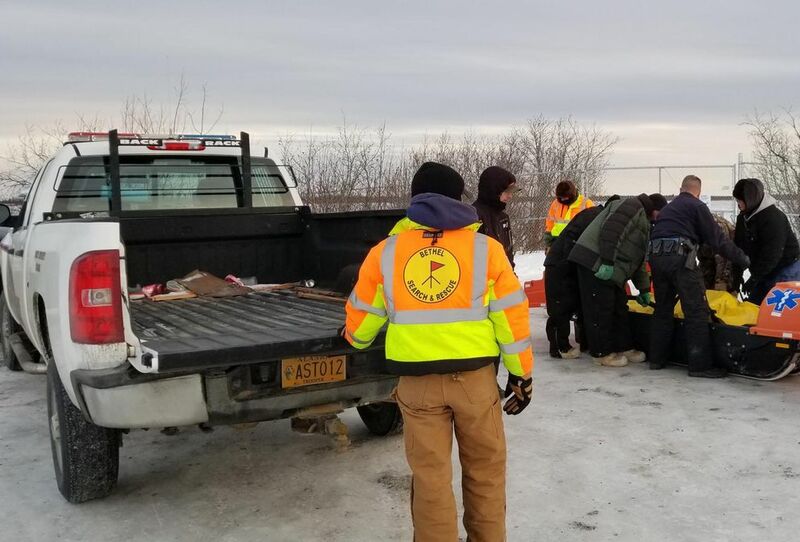 On Sunday, family and friends gathered in Akiachak to celebrate the life and mourn the loss of Mark Kasayulie, who died on New Year's Eve when he drove his family on a snowmachine into an open hole on the Kuskokwim River. The family was able to climb out, but Kasayulie wasn't. 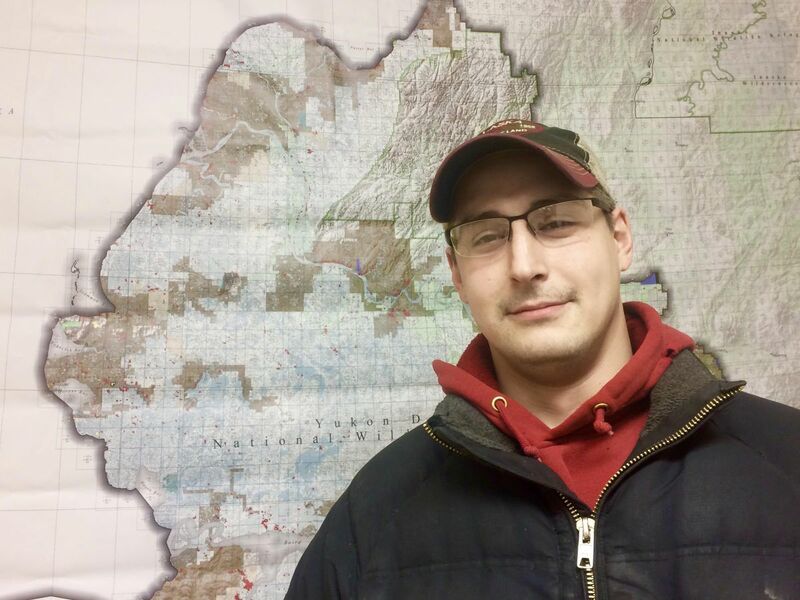 Bethel Search and Rescue member Tom Martini was one of the people who helped get the rest of the family to safety that night. "I ask Jeff to call 911 and have the ambulance ready for five hypothermic people; we're coming in now," said Martini. Jeff Evon was his search partner in the rescue but didn't want to be interviewed for this story. The night of New Year's Eve, Martini was home with his kids. "Just a normal evening, just spending the time with the family," he said. Then he saw he had a missed call. It was Search and Rescue. "So I returned it. A team had already left," Martini, 35, said. "So I thought maybe they might need some things that I have here." His kids helped him get ready. They started the snowmachine and helped gather gear: rope, an ice pick, lights and a spotlight. Also extra jackets and sweaters, enough equipment to cover a sled. Martini first stopped at Search and Rescue headquarters, but only one member was there, Evon. The two headed out with the little information they had, which was that some people had fallen through an open hole near the bluff. "I didn't get the count," Martini said. "I didn't exactly know which bluff, just upriver, so I headed straight there." Once on the trail, Martini called the other search party. They hadn't found the family. That's when he learned the count: five people needing rescue. At the Y above Bethel, the other team had turned left, so Martini and Evon turned right, onto the main river. It was the same trail that Search and Rescue had for weeks warned people to stay off of. "That night it was hard to see that right turn," Martini said. "Everything looked wet, and you couldn't really make out the trail. We get down onto the river. We look left and right. And I looked right again, and I noticed a light blinking." One of the family members was flashing a light on a waterproof phone. That's what they had used to call for help. Martini and Evon began moving toward them, stopping about 100 feet away. The family was huddled together, standing on the ice in about a half-foot of water. "So if they moved forward or to the side, there's a chance they might have fallen in again or in another hole that they couldn't see," Martini said. "All they had was a little light on a phone. It saved their lives." Martini told Evon to call the other search party and tell them that they'd found the family. Meanwhile, Martini tied a rope around his waist and began talking to the family members. There were three young boys, their mother and her sister. He told them to stay where they were and to let him come to them. Evon tied the other end of the rope to the snowmachine and hung on. When Martini reached the family, he only counted four. Then he saw the aunt lying in the water. "She couldn't stand anymore. She's just very cold, hypothermic, soaking wet head to toe. So she's first," Martini said. "I gotta get her out of the water." He placed her in his sled and took off his jacket, laying it over her. Then he covered her with the sled tarp to hold in what body heat she had left. Next, Martini retrieved the youngest boy, who was 10 years old. "By that time everyone is walking out, and they're all hysterical," Martini said. "I'm trying to calm them down and convince them to come with me. I first ask them their names, tell them my name. I tell them I'm here to help and we have to go now." They were about a half-hour outside of town. In the dark water there was no sign of the father, Mark Kasayulie. Martini wrapped the family in the clothes he'd brought. He took off his dry boots and placed them on the youngest boy's wet feet. Evon called 911 and told ambulances to be ready at Hangar Lake near Bethel. Then they loaded everyone up and drove back to town. Martini remembers hearing New Year's fireworks as they approached. According to troopers, it was now about 11:30 p.m. At the lake, two ambulances were waiting. "I just pull up between them and say the lady in the sled's the worst, and I have a little boy here," Martini said. "I just stand out of the way, let them do their thing and go home." The family is reported to be OK. The next day, Search and Rescue volunteers from Akiachak, Kwethluk and Bethel recovered Mark Kasayulie's body. Then they staked more markers around the open hole. Markers were already standing, but others had fallen down. Bethel Search and Rescue President Mike Riley saw skid marks in front of the hole, as though Kasayulie had seen the open water at the last second and tried to stop. The day of the accident had been windy, though the night was calm, and Martini says that the glare ice looked indistinguishable from the open water. Both were black with a sheen. The night marked Martini's first rescue, and he was impressed by all the things the family did to stay alive. "Getting out of the water, and helping each other out and getting on hard ice. And it being dark, they knew not to wander far from that safe spot they were all standing on," Martini said. "They were huddling together and anything that they could keep warm with that they had available (they used). Even a bag, a garbage bag was emptied out and put over the boy to help hold his body heat in." Search and Rescue asked all travelers to abide by trail markers. Blue reflectors mean open water. If markers are knocked down, they ask travelers to put them back up. This article was originally published at KYUK.org and is used here with permission.